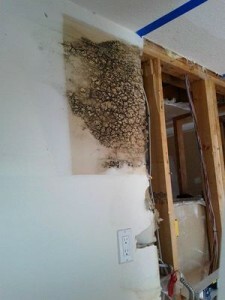 Homeowners living in Arizona do not need to hesitate to call the mold removal Queen Creek professionals at 911 Restoration of East Valley if they even have the slightest suspicion that they might have a fungal infestation in their property. We offer free home inspections, so you never have to worry about taking any financial risks when you need our help. 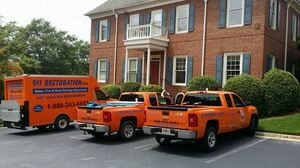 Our Queen Creek mold eradication crew understands that mold can grow rapidly, especially after water damage has impacted the home, which is why we are also experts in water damage restoration. Our offices are open 24/7/365, so you can call us as soon as you think you may have mold growing in even the most hard to teach places, no matter what time, day or night. If you have a mold growth afoot and you want the best in the business to eliminate it, then contact our mold removal Queen Creek team with 911 Restoration of East Valley today! 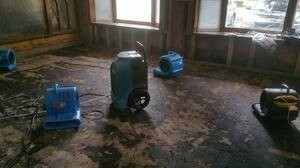 Mold, mildew and fungus can grow pretty much anywhere there is moisture. Their spores are moved by the air, which helps them spread easily throughout the home. If the spore land on a wet surface, they can begin developing within 24 hours, especially since materials such as drywall, carpet, plywood and other textiles are great environments to sustain mold life. If your home has experienced a flood, leaking roof or plumbing issues, then the water vapor that condenses on the surfaces of your home can cause the mold spores to flourish. Our Queen Creek mold removal technicians know how important it is to act fast in order to prevent mold growth, which is why we vow to be at your door within 45 minutes when you have undergone a water disaster. Call our mold removal Queen Creek team with 911 Restoration of East Valley to get same day services for your water emergency, and we will get your home dry and clean again in to time today! It is a common misconception that if you have a mold infestation in your home then you will see it growing on your walls or ceiling. A lot of the time, there are other signs of fungus before you actually see it, such as a musty smell or the onset of allergy-like symptoms. The IICRC certified Queen Creek mold remediation specialists know the the substance can be found behind wallpaper, paneling, inside of ceiling tiles, behind drywall and underneath carpeting. We also make sure to check the plumbing that runs inside of your walls, because the pipes can easily leak, creating a mold-friendly environment. Call the licensed, bonded and insured mold removal Queen Creek agents with 911 Restoration of East Valley and you can be sure you will receive quick, competent and affordable mold removal services today!